The Tempo Condos Mississauga are planned for the intersection block at Kariya Dr and Burnhamthorpe Rd W. This positions this stunning future Square One condos complex right in the heart of downtown Mississauga. The expected VIP availability date is in Fall of this year! This central location will also place future residents alongside the new Mississauga LRT line which will run along Burnhamthorpe Rd W. If the Downtown 21 Plan successfully begins implementation, the Tempo Condos will be ideally located across the street from this exciting downtown Mississauga addition. The developer behind the Tempo Condos is non other than the reputable Greenpark Homes. This brings an air of confidence to this entire future Square One condos project because quality is extremely important to consumers these days. The Tempo Condos will rise 40 stories above the downtown Mississauga area and offer a clean, contemporary design that still looks unique, but doesn’t add too much flare to solely focus attention on itself. As more details about the Tempo Condos are released, SquareOneLIFE will keep you updated, in the meantime, some renderings are provided for you to get a sense of this future Square One condos development. 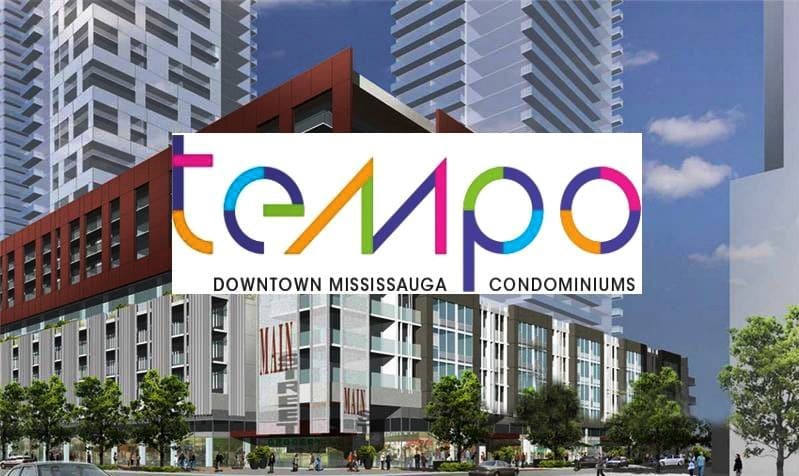 The Tempo Condos Mississauga are definitely the most committed out the future Square One condos with the registration phase currently in progress. There are several other more obscure future Square One condos which are still up in the air in regards to actual development. The first of these are the Summitview Towers. These twin condominiums will be located just outside the central downtown Mississauga core at Eglinton Ave and Hurontario St. This specific intersection is becoming a hub for condo expansion and development with plenty of open space available. The Crystal Condos are well into the construction phase and the Summitview Towers would compliment this modern addition perfectly. The Summitview Towers are being lead through the development planning process by Summit Eglinton Inc, whom in turn has hired Michael Spaziani Architects to craft the design. In addition to the two striking high-rise structures providing 920 condominium units, the Summitview Towers will offer 109 townhomes of which 49 are directly on the main street and a further 60 share common elements. These days it is important to utilize mixed zoning construction to help promote high-density planning and fight urban sprawl. This means the Summitview Towers will offer 80,000 square feet of retail and commercial space greatly increasing the offerings of this growing cluster area within downtown Mississauga. Moving along from the Summitview Towers we’ll look at some more future Square One condos which are currently ideas. The first of which is the S-Hotel and Condo at Kariya Dr and Enfield Pl. This design is several years old but could be a contender for this location. The current occupant of this intersection corner is a restaurant with rooftop patio known as &Co. Although this establishment seems to be doing well financially, there are complaints from the nearby residents in terms of noise pollution from the rooftop patio. If the Downtown 21 plan is fully implemented it seems most of the entertainment options will relocate here and this could become a prime space for the S-Hotel and Condo. From a utilitarian and trend perspective the S-Hotel and Condo would integrate a missing facet to downtown Mississauga. Whereas downtown Toronto has plenty of boutique hotel and condo combination developments, Mississauga is lacking substantially. We only really have the Novotel Hotel in our Square One core which is slightly less than flattering from a visual design standpoint. The S-Hotel and Condo would bring a boutique luxury residence which I feel would target a similar clientèle as the Soho Metrpolitan Hotel and Residences. 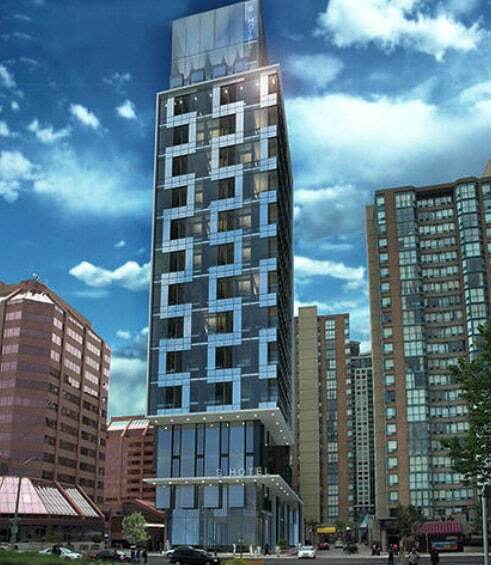 Overall this concept seems quite favourable as an addition to downtown Mississauga. One more exciting future Square One condos development is the finale to Daniel’s downtown master-community which is currently composed of the One Park Tower, Chicago Condo and the Limelight Condos. A final building is to be added but no further information is available as of now. This article hopefully provided some useful information on the exciting Tempo Condos and other future Square One condos. In addition to the projects discussed here, there are a further few which have dedicated articles. You can find them at the Gordon Woods Condos, Maze Condo and Higher Living Condo pages. 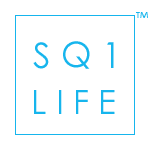 If you wish to browse detailed profiles of current Square One condos, just head over to the Lifestyle Search page. And as always if you’re looking for dedicated and professional real estate services or just wish to chat further, head to the Contact Page! 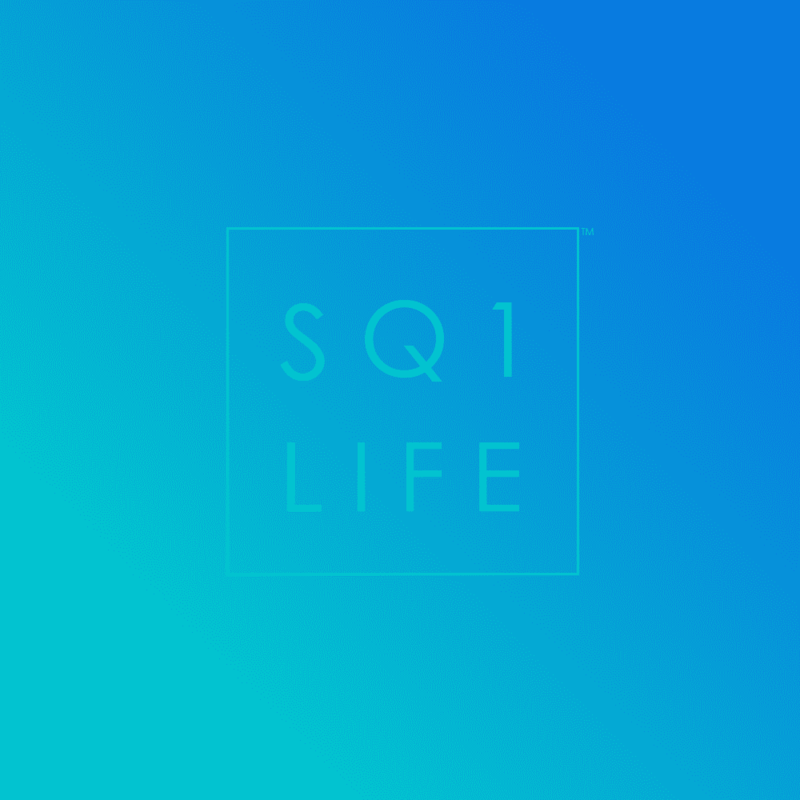 Want to buy a preconstruction condo at square one. Do you know ofany coming up? You should be receiving an information email shortly explaining details. Thanks! How do I find more information about the retail and commercial space in the Summitview tower? Information email has been sent. Thank you. Would like to get more information on these condos please email if possible. Thank you for your inquiry, an email has been sent to you.